Manages maximum document width of 27"
The GBC HeatSeal Pinnacle 27 Standard 27 Roll Laminator comes with a sleek design and top class features to ensure professionally suave lamination of your documents. It features the AccuTherm heating technology that gives it an edge over the competition. This GBC HeatSeal Pinnacle roll laminator gives enhanced results using the Nap Lam I and Nap Lam II low melt film. This version of GBC laminators also has a complete control panel where users can configure all their laminating preferences in one go. This particular laminator beats all other roll laminators with its perfection and accuracy. It helps conserve energy with its auto-standby. Further highlights include built-in trimmer, auto-reverse switch, temperature readout, footage counter, LED light and audible alert signal, variable speed control and off course, the limited 1-year warranty. Q: How long am I entitled to warranty for GBC Heat Seal Pinnacle Roll Laminator? A: GBC heat seal Pinnacle comes with 1-year manufacturer warranty. Q: My insert is 27 wide and 4 mil thick will GBC Pinnacle would be able to process? 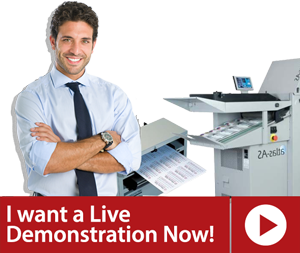 A: Unfortunately, GBC Pinnacle 27 can process any document up to 27” wide and 3 mil thick. Q: Is GBC Pinnacle feasible for commercial area? A: GBC Pinnacle is a device made for heavy duty laminating therefore it is a perfect fit for commercial area. Q: How long does the GBC Pinnacle require for a 13” document to laminate?